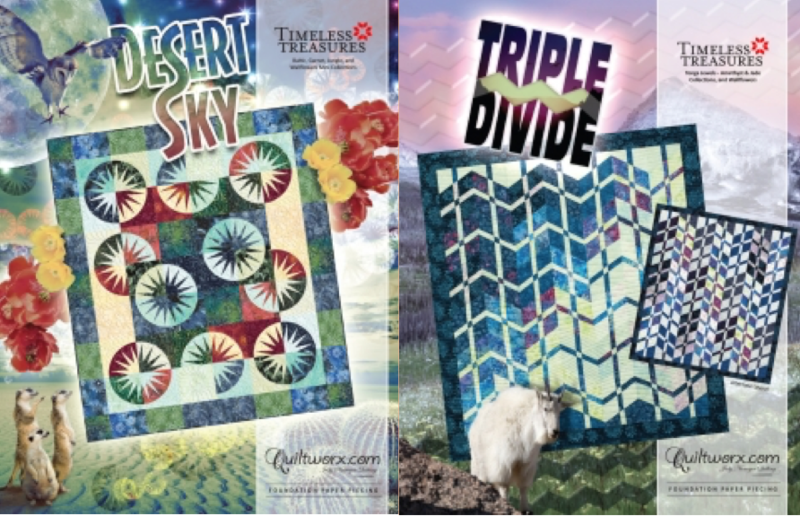 You will pick between the Triple Divide or the Desert Sky Paper piecing pattern to create during this 3 day class. Connie Lange will demonstrate and guide you as you learn several of Judy Niemeyer's paper piecing techniques. The cutting class will be August 16th from 1-5.